Insulin is a Key Hormone! 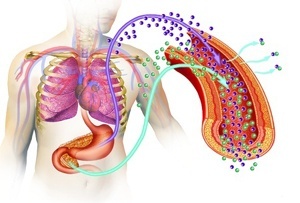 Insulin plays numerous roles in the body, the most prominent of which is transporting blood glucose into body cells. In non-diabetic populations, when we eat food containing carbohydrates, or protein for that matter, insulin is released from the pancreas into the blood and glucose is shuttled into body cells. We are talking about healthy populations here. There are various disease states, the main ones being diabetes/insulin resistance, that impact glucose handling, but those will not be discussed in this particular article. When insulin secretion is stimulated, fat ‘burning’ (mobilization) is blunted to a great extent. This is the body’s way of ‘storing’ energy when it is available. A common misconception when it comes to fat loss is that we must reduce insulin levels to see results. 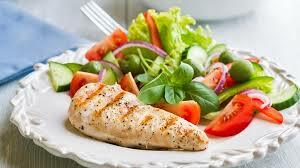 This leads to the promotion of low carb diets to reduce insulin levels and promote fat loss. Based on the current body of literature this is inherently wrong. No Difference Between Low Carb or Low Fat Diet Groups! The 2018 "DIETFITS" (Diet Intervention Examining The Factors Interacting with Treatment Success) study looked at exactly this phenomenon. This randomized clinical trial took 609 participants and divided them into two weight loss diet groups of either 'low fat' or 'low carb.' Following completion of the study they found, "There was no significant difference in 12-month weight loss between the HLF (Healthy Low Fat) and HLC (Healthy Low Carb) diets, and neither genotype pattern nor baseline insulin secretion was associated with the dietary effects on weight loss." Meaning both the low carb group and the low fat group lost the SAME (+/- 0.7kg) amount of weight. Overall Calorie Intake Matters Most! Taking this study, and other similar ones, into consideration, what appears to have the most impact on fat gain or loss is overall calorie intake throughout the day. Also known as, energy balance, if you consume more calories than you burn you gain weight/fat, if you consume less calories than you burn you lose weight/fat. Throughout the day, you go through various periods where you are ‘gaining’ fat and others where you are ‘losing’ fat. (see the chart blow for explanation) As long as the periods of fat/weight loss exceed periods of fat/weight gain your weight will trend downward. So while it is true that insulin needs to be present for fat gain to take place, you caloric intake (and energy expenditure) will determine wether the calories you eat are stored as fat or used as energy. Low Carb Diets Aren't For Everyone! 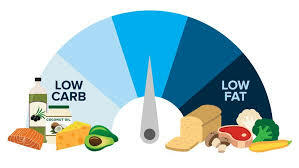 While low carb diets can work for many people, they may not be sustainable for the long term. 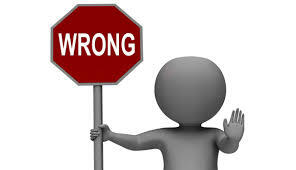 This is the primary reason that most individuals don't have a problem losing weight, they have a problem keeping it off. The key to sustained fat/weight loss is finding the right balance of macronutrients that accomplish 4 main things: allow you to slowly lose weight (slight caloric deficit), manage hunger, maintain muscle mass and provide you with proper micronutrients (vitamins & minerals). Once your reach your desired weight loss goal, you would then determine the amount of macronutrients that allow you maintain that weight. I hope this article has provided you with a brief introduction into insulin's role in body composition. Next time you hear someone say "you have to keep your insulin levels low to lose fat," you can respond "calories are king." Please let me know in the comments what your usual eating pattern reflects, higher fat or higher carb. And until next time my friends BE ELITE! Enjoyed the info, reduce those calories, move more!